Of the many kings who would reign over the lands promised by God to the descendants of Abraham, only three would reign over a wholly united land—Saul, David, and Solomon. Of these three, only Saul was appointed by the people of the land. David was chosen to be king by God and anointed with oil by His servant, the prophet Samuel. Solomon, David’s son, was set on the throne by David’s decree and anointed by Zadok the priest along with Nathan the prophet. Yet, after Solomon died, the once united kingdom became two as the tribes of Israel split over a disagreement with the new king, Rehoboam. Only two of the twelve tribes, Judah and Benjamin—for Levi lived amongst many of the tribes and their inheritance was their occupation as priests for God—chose to accept Solomon’s son, Rehoboam, as their king as Solomon had planned. Those who accepted Rehoboam as king became the kingdom of Judah, which would continue from 931 B.C. to 586 B.C. While many of the kings of Judah would do evil in the sight of the Lord, they would, for many years, be a people who followed the will of God, keeping His feasts and instructions. Those who refused to accept Solomon’s son, Rehoboam, as king, became the kingdom of Israel, consisting of all the other tribes—minus Levi in part—and lasting from 931 B.C. to 722 B.C. Unlike the kingdom of Judah, Israel primarily did evil in the sight of God—their turning from Him largely being brought about by the decision not to accept the descendant of David, the Lord’s anointed, as king. Only one king of Israel ever followed after God for any portion of their life, and Baal worship was common. Additionally, because the kings did not wish ties to Jerusalem, they built ‘temples’ not sanctioned by God, that were, while perhaps at first intended to serve God, often focused on the false god, Baal. The divided kingdom had 19 kings of Israel over her 209 years, and 20 kings of Judah over her 345 years—39 kings combined. Adding in the three kings of the united kingdom, the land had a combined total of 42 kings in all. Still, despite this high number of kings, many believe that there is no evidence of their existence; that the Bible and the archaeological record are at odds and the Word of God is not entirely accurate. Yet, even as early as the late 19th century, evidence of the people of Israel began to surface, and today, with new archaeological processes and greater funding, we are finding physical evidence of more kings and events of the Bible than ever before! The Word is literally being pulled from the ground! 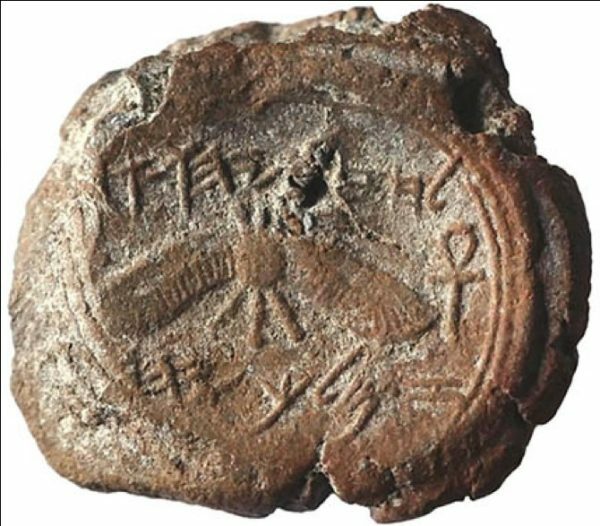 Recently, we have heard of such finds as the clay seal—known as bulla—of King Hezekiah, along with the believed bulla of the prophet Isaiah! Yet, this is not the only king confirmed through seals, and while many seals may bear the names of ministers and various officials of the kings, their existence is still shown through artifacts nearly three-thousand years old! 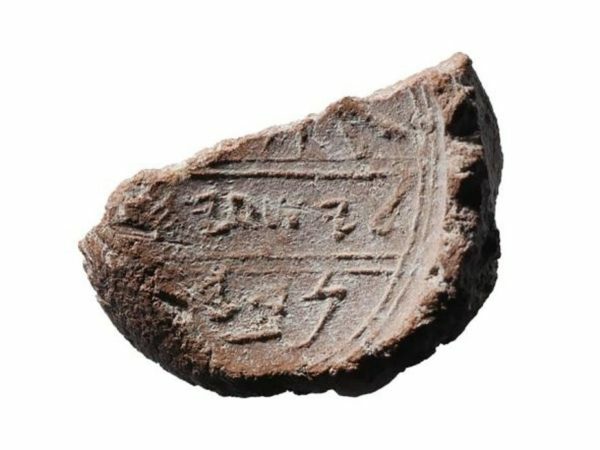 In 1995 evidence of Ahaz’s existence was unearthed in the tiniest of forms, a clay bulla only 2/5” wide and bearing the inscription, ‘Belonging to Ahaz (son of) Yehotam, King of Judah.’ Yet, despite the seeming humbleness of the bulla in size, the significance and importance of royal seals gives this tiny piece of clay its power… for a sealed document using a bulla such as this could have held anything from basic monetary business, to the call to war—a simple bulla could change a kingdom’s course! For the one holding a royal seal, the power to create or destroy was often literally held at their fingertips! Ahaz was a king of Judah during the time of the prophets Isaiah, Micah, and Oded. Yet, despite the counsel given to him by these men of God, Ahaz did evil in the sight of the Lord all his days. He did not set a Godly example for his son, and soon to be king, Hezekiah. Nor did he fail to do every evil thing he could… for he offered his sons in the fire; built altars and gave sacrifices to false gods; gave ungodly offerings to God; stole from the Temple of God; and partook in acts that God commanded only the descendants of Levi who were anointed by His instruction to do! Yet, because of Ahaz’s disobedience and unfaithfulness, Isaiah was prompted by God to give Ahaz—and us—a prophecy. For when the prophet Isaiah came to Ahaz asking him what sign he would have from the Lord that His Word was true, Ahaz, in his arrogance, claimed that he would not ask God for a sign. So, God gave His own sign, a prophecy that would come to pass less than one-thousand years later! However, even when given the word of the prophet, Ahaz failed to turn from his ways, becoming more obsessed with Baal worship and other ungodly things as the years passed and his fear grew, remaining ungodly in the sight of the Lord all the days of his life. Despite growing up under the influence of his father, King Ahaz,—who would not listen to the Word of the prophets or God—Hezekiah was one of the last good kings of Judah who did his best to follow the will and law of God, listening to the word of the prophet, Isaiah. In fact, Hezekiah so believed in God and the word of the prophet that he not only allowed Isaiah to enter his presence unannounced, but he obeyed and feared the Lord, even crying out to God himself in times of need! In fact, Hezekiah’s connection to God was so strong that when he would cry out to Him, God would listen! Even saving the people, turning back the sun, and adding years to Hezekiah’s life at his request! In Part-Two of this two-part blog, we will examine the lives of another king of Judah, Zedekiah, as well as a king of Israel, Jeroboam II. 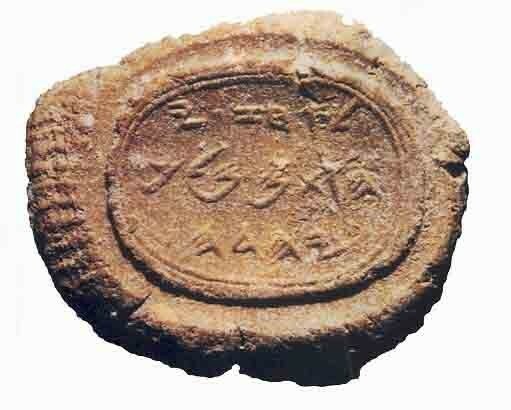 Additionally, we will examine the seals/bulla that bring physical proof to their existence. We will conclude with a brief examination of the importance of seals/bulla and what we as Believers can take away from this living history, as well as what we can do to restore Israel’s blessings!